Grizzly bear mom walking over a log with her two cubs along the Knight Inlet shoreline. 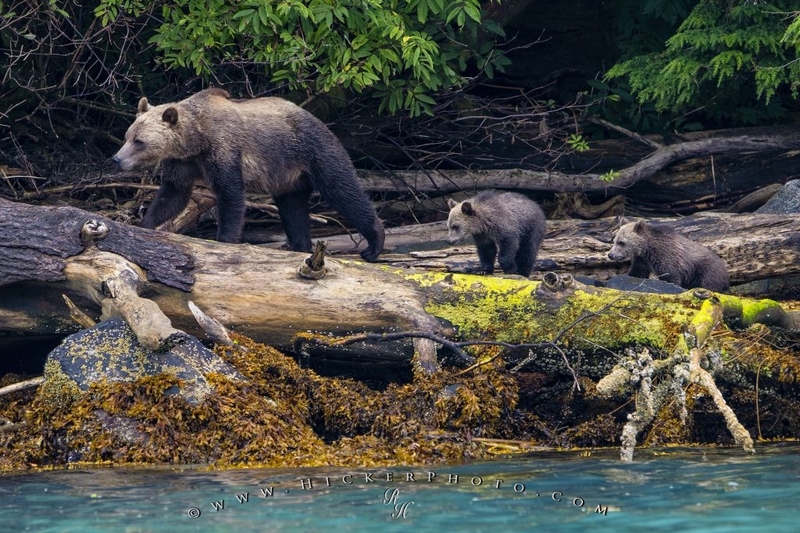 Grizzly bear mom with two, this years cubs in search for salmon, walking over a log along the Knight Inlet shoreline at low tide, First Nations Territory, British Columbia, Canada. Pictures from photo gallery "Grizzly Bear Pictures"
This picture is part of the photo album "Grizzly Bear Pictures" - there are more beautiful images waiting for you.